Home › Toys › Smart Gear My First Smart Balance Ultra-Lightweight Frame Kids Bike - Metalli..
Smart Gear My First Smart Balance Ultra-Lightweight Frame Kids Bike - Metalli..
GREAT QUALITY - Outdoor Bike with Easy Assembly. Cool Toy! AWARD WINNING - Smart Gear designs, develops, manufactures and distributes eco friendly, award winning, fun, innovative and educational products for children age birth and up. Smart Gear designs, develops, manufactures and distributes eco friendly, award winning, fun, innovative and educational products for children age birth and up. 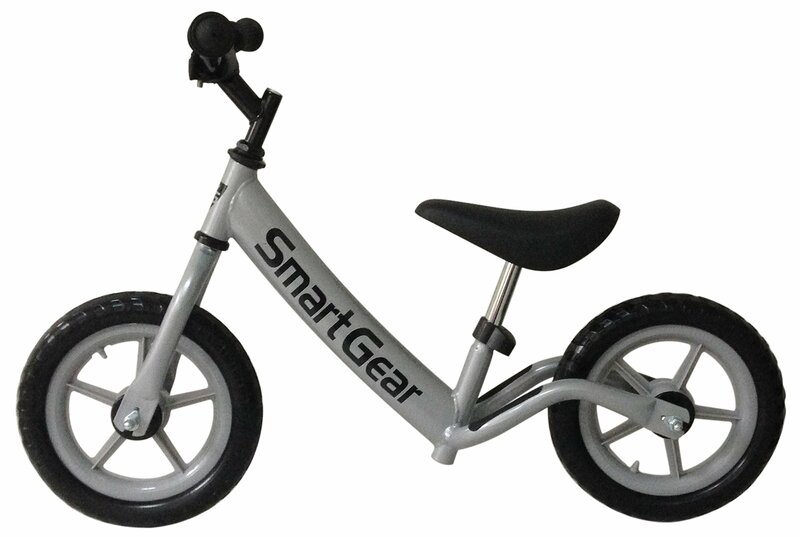 Size: One Size | Color: Metallic Silver My First Smart Balance Bike by Smart Gear is one of the best investments youwill make for your child. Smart Balance Bikes by Smart Gear, first andforemost help a child develop the most important skills necessary to laterride a traditional bicycle with pedals: BALANCE and MOTOR SKILLS. SmartBalance Bikes were designed to develop a child's balance and coordination bysimply allowing the child to sit and walk or run with the bike by pushing withtheir feet. If the bike starts to fall, kids instinctively regain theirbalance using their feet. Once they gain some momentum and balance controlthey can lift their feet up as they feel comfortable and start cruising!Toddler bikes with "training wheels" don't necessarily train or teach a childhow to ride a bicycle. The training wheels are merely a crutch that give thechild a false sense of security and merely keep the child busy or entertainedrather than actually helping the child develop the necessary skills to ride abicycle. Smart Balance Bikes are also suitable for children who need to beencouraged with motor skill development and therapeutic training.